Good morning everyone. Today, we will have MIC president Datuk Seri S Samy Vellu who will answer your questions and comments beginning 11am. In the mean time, post your questions and comments here. He will attend to it shortly. Datuk Seri S Samy Vellu is now in our office at Balai Berita in Bangsar. We hope you will have a fruitful discussion with Datuk Seri Samy. Good morning Datuk. Thank you for coming for NSTLive. We shall now post the first question. Hi Dato Samy, The investment arms of UMNO and MCA are doing well. Why the investment arm of MIC (MAIKA Holdings) is on the verge of bankruptcy? Can you tell what went wrong and who is to be blamed? Do you think MIC can still survive in the next General Election? hello dato, i hv supported mic throughout my life, but i have been disappointed with its current image with the grassroots. comments? Datuk Seri S Samy Vellu: in this world, everybody encounters ups and downs. and we too encountered not much of ups but downs, for which we don’t carry all the blames. How do you keep your self healthy and fit despite your age has now reached 70 plus? Any tips for us? Datuk Seri S Samy Vellu: I concentrate on a alot of exercise, swinmming and treadmile every other day. In order to keep fit and work late, I’m 73, not 70. I still feel i can pull on with this exercises. the tips, get up very early in themorning, maybe 5.30am, do your exercise, then you go for your normal duties. You will be very fit. The MIC portal still looks very basic, it doesn’t deserve a new launch. Why isn’t MIC getting some IT savvy Indian to work on complete revamp? Why is MIC/MIC youth not represented in the upcoming IT trend, ie. twitter, facebook… Let’s get serious Mr.Samy! Datuk Seri S Samy Vellu: Kumar, we have recently launched the portal and we are now working on the contents. We want to engage a few IT experts to work on the portal. The indian community in this land is small but politically they are divided in many party. Is it possible to have dialog with all these parties, whether political party or NGOs to bring them all into a one common group to tackle issues? I would like to Thank Dato Seri very much for his time for coming live on NST. What have you done to date to hand over to the next leader of MIC? Why unlike others, we do not know until now who is next leader of MIC? Does it reflects your failure to manage the succession plan? With the web portal, we are sure you will get direct unfiltered feedback! May that help you to decide your next step! Datuk Seri S Samy Vellu: The MIC has a president, deputy president and vice presidents. They were elected democratically by the members and Im surprised you don’t know who they are. Datuk Seri S Samy Vellu: if the office bearers of MIC when they hold government positions they declare their assets. What is his take on the political limbo in Perak? Many say that it was you who wanted 1 Minister for MIC. Is it true? Datuk Seri S Samy Vellu: it is not true. It is already been there before I became president. I was done by my predessor. After I took office, we had one minister, we have talked to teh rpesident of BN many times to increase it to the previous status quo of two. But, we had three deputy minsters, three parliamntary secretaries during my time. Datuk Seri S Samy Vellu: Out of 13 parties, the so called wind of change has taken only in three parties. The are many other party leaders still hold to their position and are doing very good work. Particularly, in sarawak and sabah. So the main land is not an exception. Former deputy president Datuk Subramaniam had used his Tamil paper, Makkal Osai to smear MIC and yourself before the March 8 general elections. But why did you patch up with him after the elections. Should he not have been sacked from the party? Good morning Dato Seri Now i streetly going to quastion…our prime minister already intro 1malaysia concept and he already start to promote it .Last weeks a go Mr velpari was intro 1 indian concept so what is dato seri comment about 1 indian concept and when is will be start to promote. Datuk Seri S Samy Vellu: the 1Malaysia concept embodies whatever Indian concept there is and we all have to align ourselves to what was introduced by the Prime Minister Datuk Seri Najib Tun Razak. Good Morning Dato Seri .Where is MIC heading in a few years time …..who do you think should lead the party after you ? whats going to happen to all your supporters when you leave ? Datuk Seri S Samy Vellu: The party has to have a leadership change at the appropriate time. All my supporters are MIC supporters. They would definitely adjust to time. There are three aspiring people who want to eventually become the leader. I leave it to the members to select the best. Dato Seri, May i know how can the youths play an active role in the party..? Datuk Seri S Samy Vellu: Many people do not understand the actual meaning of rebranding and some of them simply joke around the rebranding. the rebranding is a mental attitude for a new strategy to run the party in a better manner. As far as I am concerned, 3600 leaders have gone through this exercise. They understand better what is their responsibility to the party. AIMST seems to be the most visible success story of MIC. What is the future of AIMST with regard to contributing to the development of quality higher education in the country? Datuk Seri S Samy Vellu: The Aimst is doing all its best to provide good education facilities to the students of the country. Aimst will go through a lotof reserach based work very soon according to Tan Sri Ambigaipagan who is the chairman. During my visit, i have personally seen the students capability and enthusiams in the system of teaching adopted in Aimst. There is widespread belief that HINDRAFwas born of the failures of the MIC,especially under your long but dictctorial and corrupt lradership.Can we have your comments Dato? Congratulation Dato Seri Because Join with all Malaysian vie online. Thank you very much for your answer Dato Seri, but i can see most of our new members or professionals re moving out of the party as they only see major politics taking place within the party, i would like to suggest more importance to be given to the young members or professionals to play a neutral role within the party in order to shape a much more neutral party for the community instead of a chronic political party, Tq. Datuk Seri S Samy Vellu: I think you have an affected mind where you do not understand how hindraf came into being. They just want to tell the government on the dissatisfaction of the community in a piece of paper with some 18 or 19 requests and changes that they want. Whereas, the MIC, had carried out for the past 29 years several matters for the government with research papers where it has mentioned about the community backwardness, their educational backwardness, the poverty ratio of 30 per cent, the tamil schools, the inability to do business with loans from anybody, which is not available. 1983, I started building Tamil schools after having studied the conditions. With the help of the PM then Tun Dr Mahathir Mohamed, more than RM40 million have been spent on Tamil schools.. We had the problem of getting places and government tertiary institutions. We buit one ourselves to take care of our education. Many of this news of what is being done is mostly published in the vernacular papers. If you can’t read Tamil, is not my mistake. Do you agree you ‘finish’ your opponents in MIC with iron fist , like what you did to Muthupalaniappan recently? Datuk Seri S Samy Vellu: I don’t think you understand politics. You talk through your nose rather than talking through your mouth. Nobody finishes no one in the party. Muthupalaniappan is still safe and going around giving a lot of statements against everybody. We are just looking at it. If you say, I have used iron fist, to finish a lot of people, I’m not Adolf Hitler. I’m just an ordinary Samy vellu. You are very sadly mistaken my friend and I don’t think you know what happens in Malaysian Indian politics. In your earnest expectation,what qualities of leadership qualities you would like the successor of your whoever it may be should have in your opinion . sir,please pass our party to someone u can trust!.someone who will not destroy the party for his own supporters interest! The future leader of MIC should concentrate on the upliftment of the community and must always near to the poor. A lot of plans has to be done to continue with the work that has been done for the last 29 years by the new man. Frankly, a man with a heart for the people. there is any special discounts for mic member to study in aimast? Is MIC shameless? Why is your party fighting to be the speaker of the Dewan? Datuk Seri S Samy Vellu: We are not fighting to put the MIC speaker. He is a BN speaker who represents the BN majority. I’m sorry to see your ignorance, you are grossly misunderstood as to how the system works in parlimentary democracy. Our Indian children are well mannered and perform while in Tamil schools. However, when they go to secondary schools, by the time they get to Form Three, many of them have lost interest in their studies and become discipline problems. Has this got to do with how they are treated, cared for and guided in secondary schools? Particularly in terms of their self concept and self esteem. I think it will be useful to explore what is happening to Indian students at the lower secondary stage . Dato Seri I think by doing so we may be able to address the problem of our adolescents. Perhaps this is a task for the MIC Education Committee. i dont agree with treys comments that our party is shameless!.u have put in lot of work in the past 30years for our indian community…please dont give this party to your former deputy who used his paper destroy the party. Datuk Seri S Samy Vellu: The question of secondary school going students have been studied by the MIC 6 years ago. A cabinet paper was submitted and the government has agreed to provide funds to carry out programmes to put the students at theh right path. Yesterday. the Yayasan Strategik Sosial has started its programme which will benefit 4,500 secondary school going children where the juvenile deliquency will be taken care and will be guided as to what is good for their education. Morning Dato Seri. If an indian students obtained 9A’s and above for SPM any chance to get scholarships for pursuing studies in AIMST. (Note : If they failed to get all other gov. scholarships). Datuk Seri S Samy Vellu: Students who obtained 9As can go into the Foundation programme in Aimst. Then proceed to do medicine if they possess the required marks. As far as scholarship is soncerned, we do not have the capacity to do so at this moment. We may do it later when the institution develops further. Dato Seri, whats your plan to eradicate poverty among the Indian community? Datuk Seri S Samy Vellu: We are working closely with the BN government, where employment becmes number one, we try our best to get employment. The second most important thing is housing, we discussed with the Kuala Lumpur City Hall to provide them with housing immediately. We do help the school going children and also the poor who is hospitalised is also being taken care by the Yayasan pemulihan Sosial.The government has completed 24,000 houses in KL. Every poor is eligible for a house if they make the application. Datuk Seri S Samy Vellu: Thank you Mr raja. I have already decided and fixed my time to leave. Not because of my age. But, I want to hand over to a younger man. But please do remember, old is gold. Dato’ Seri, who is your favourite Tamil actor and actress? Datuk Seri S Samy Vellu: My favourite is Sivaji Ganesan. Datuk Seri S Samy Vellu: I’m planning so at some states. Datuk Seri S Samy Vellu: I have nothing to hide. I had two baldness in the centre portion of my head. And I went for eight surgeries which is called sclap reducing surgeries in Australia. Then, I’m still having my normal scalp, my real normal hair, not as to what you think. I have not planted any hair. My hair is real. If the there is snap election in Perak…will Datuk seri contest again? Datuk Seri S Samy Vellu: I won’t contest anymore elections and have never asked for a seat or a ministership or anything of that kind as claimed by some people during the new cabinet formation, as imagined by some mad people. datuk seri sir we are like one family even during ups n downs…so please pick w leader who can work for indians n not someone who calls himself makkal thalaivar without doing anything in the past more than 30years! Datuk Seri S Samy Vellu: What I have raised in the cabinet for the past 29 years, the documents are classified. I can release it but, I have sworn to secrecy that I will not divulge any of the Cabinet decisions and Tun Mahathir is very well aware of it. In any case, 29 yearly conferences were held of which 22 of them were opened by Tun Mahathir where the MIC preidential address had always outlined the porblems faced by teh Indian community. There is no cabinet meeting that has not heard Indian problems in the 29 years. If Tun Mahathir feels that I have not done anything, I leave it to God to decide the right punishment for me. But, i will not say anything against what is said by Tun Mahathir because he was my boss, and a man I respect most. Datu Seri, being with Barisan Nasional , to what extend MIC being recognised by the coalition and do u think these recognisation is enough for the comunity to keep up with the present development on human development in this country. You beat any of the HINDRAF leaders flat dato….you are still popular and have more supports than them….You are the best and the greatest leader dato!!!! Datuk Seri S Samy Vellu: In the BN, all parties are treated the same. In the cabinet, if you have a chance to ask any former PMs, they will tell you how I had fought for the Indians. Datuk Seri S Samy Vellu: MIC took a special interest in the Indian students at the tertiary level. This year, 176 Indian students were given scholarships by the PSD but this is not the case 18 years ago. In any case, the MIC is appealing to PSD to reconsider their decisions on the students who were not selected. Do you agree the Indians are ‘looked down’ in all aspects during your tenure. Datuk Seri S Samy Vellu: I feel so sorry that there is one Indian like you who have been looked down by nobody but it is your innner mind that is looking at you so. If you have failed in your life, why do you look for others to blame? those who attempt have all succeeded except you. Why arent there any Sikh representation in MIC? Their are Indians too! In the beginning, we had Sikh leadership for all teh Indians, that is Sardar Boodh Singh. There after, we have tried our best to bring them into our fold, many times. Many branches were formed but they don’t manage it. Exceot for a few. And now, we have appointed a Sikh, as a senator. That is Senator datuk Daljit Singh who sits as an MIC senator. To recap Dato Sri, MIC was rejected in Perak? Datuk Seri S Samy Vellu: If you feel that MIC was rejected, you are wrong. But, it is the policy of the BN government to provide opportunities for every communities and that is the reason the BN leadership of Datuk Seri Najib Tun Razak has approved this appointment. You are an architect by profession. Do you like to go back to what you were before and forget politics totally for good and lead a normal citizen’s life? Datuk Seri S Samy Vellu: I may do so one day. What is the status on MIED 5.2 million hijack? Any action taken on the culprits? Datuk Seri S Samy Vellu: Thr police is investigating at the moment. Dato Seri, With vibrant economy in India, how can we Malaysian Indian benefit and participate to grow further? Datuk Seri S Samy Vellu: We can utilise this opportunity to do business that will benefit Malaysia as well as india. Dear Datuk Seri, “Never let the odds keep you from doing what you know in your heart you were meant to do.” God Bless You Sir. I don’t think you understand the structure of MIC. The president, deputy president and vice-presidents, these are elected leades. why don’t you read and get your facts right? Datuk Seri S Samy Vellu: Leaders are not moulded but they spring out on thier own, with their dedication to serve. Members of the public don’t really get a chance to question the leaders of the nation like this at all times. Do you think such effort taken by NST should be continued, let’s say, probably in a weekly basis for all leaders, so that the public can reach their leaders straight? What have you got to say Datuk Seri? Datuk Seri S Samy Vellu: It should be continued so that the people can benefit. The Indian community has come so far since 1957. Today we have a big bunch of m’sian indian professionals who have done well for themselves. How do you plan to infuse professionalism into the leadership of the party and Maika in your remaining years as president? Datuk Seri, what is your favourite food and drink? Where do you go for your holidays? Indian food, I like tosai. I like nasi lemak and char kuey teow. Incidently, I am an vegetarian. Datuk Seri in the past you have backed certain candidates in party elections, will you do so this time around. Why not remain neutral this time around since you indicated that you will be stepping down and let the delegates decide theirs and party future. Datuk Seri S Samy Vellu: I have already said what you have asked. Datuk Seri S Samy Vellu: Our delegates are matured enough to elect the right person. dato seri, Why are we not ready to accept Malaysians as Malaysians like Americans, Australians, NewZealanders or like in most part of the world, but rather still tagging ourselves Malays, Chinese or Indians. Even Africans and Indians who migrated to America is accepted as an equal citizen without any affirmative policies for the whites like our NEP to Malays. Dato Seri, you re really well fit & the best leader for being a 73 year old man comparing to all the other indian leaders or even the CM of Tamil Nadu, Hats off to you SIR! Datuk Seri S Samy Vellu: Thank you very much, you are very kind. Datuk Seri S Samy Vellu: It will go well. Dato’Ser, will you consider if IPF & KIMMA join BN as component? Datuk Seri S Samy Vellu: From the beginning we are against it because we don’t want to divide the community into seven pieces. Dear dato seri, My humblest greetings to you.With the current partioning of the indian community into fractions of political party , I think it is the best time for MIC to tap the opportunity to robe more members as unlike others MIC is a long serving party and definetly united, also that changes are already happening in the party, I think setting up an MIED alumni will good – what ‘s ur say dato. Datuk Seri S Samy Vellu: Thank you very much. We will consider your suggestions. At the september election, for the post of deputy president and other positions, will you be nuteral or side any candidate openly? Datuk Seri S Samy Vellu: I will tell you in September ! Datuk Seri S Samy Vellu: Thank you. Datuk Seri at the party divisions there are still MIC leaders who have been there for decades literally and not doing much as well as not giving younger leaders a chance to come up, Your Comment Sir. Datuk Seri S Samy Vellu: We are planning to make some constitutional changes bearing this in mind. If Vel Pari contest for the Vice President post, will you be nuteral or support him openly? Our leader Dato Seri. We Indians know and appreciate your sacrifices fior our community. thank you and may the Grace of God be with you. What are your favourite foods and fruits. Gd day Dato Seri, from your experience can you advice me how to change indian’s mindset from worker’s to business magnets. My believe is if everyone workhard to build their own business, we can change the future of our next generation. keep it up with your good work Dato Seri. thank you. Datuk Seri S Samy Vellu: Naturally, when people work hard, they will progress. How do you think of the present government under Najib as compared to that of Tun Abdullah’s administration? Datuk Seri S Samy Vellu: Everone have their own leadership style. Dato ..MIC done nothing on Sri Lankan Tamils being killed massively, atleast Pakatan done something……………. Datuk Seri S Samy Vellu: We don’t make noise and grumble but what we have done is very well known to the people of Sri lanka particularly the Sri Lankan Tamils. Datuk Seri, Good day . Do you think the UMNO led Barisan Government should have more cooperative with you and deliver whenever you highlighted the problems of Indian in the past. TQ. Datuk Seri S Samy Vellu: The present government led by Datuk Seri najib Tun razak is attending to many of the problems which havsbeen raised. Again PSD scholarship issue, it has been same answer all these years – appealing. do we need to appeal by right they should get it the fist place. please comment mr president. Datuk Seri S Samy Vellu: The PSD has already set aside the number of seats for Bumiputeras and, chinese,Indians and other malaysians. This year’s quota is 176 for Indians. We are still asking for more. Datuk Seri S Samy Vellu: As soon as the insurance company is sold, every share holder will get back their money. Dato;, Among the indians, we are divided as Tamil, Malayalee, Telegu, Sri Langkan Tamil, Punjabi and so on. Is there any action plan for MIC to united them so that Indian can be a stronger community? Datuk Seri S Samy Vellu: By being Tamils, Punjabi, Malayalee, Telugus, doesn’t mean that they are divided. Its clan groups but they are Indians in one. What are your hopes for Malaysia in the coming days? Datuk Seri S Samy Vellu: My hope is that the new leadership of Dtuk Seri Najib Tun razak will actually look into the plight of the Indians and strategise to alleviate them. I’m very sure he will do that. I can see signs towards the direction. Datuk Seri S Samy Vellu: We can have lunch, if you so wish, contact me. Datuk Seri S Samy Vellu: My friend, you are sadly mistaken, it has not gone down the drains. the money is still there. Maika Holdings owns more than 70 per cent of United Oriental Capital insurance company. Why don’t you read and understand all this? Good Day Datuk Sri. As you say people especially the Indian’s do not understand the Rebrading. Dose that means that MIC under your leadership have failed to bring the the massage of rebranding to the people. Datuk Seri S Samy Vellu: I don’t think you understood my answer. I said some people don’t understand, not all MIC leaders. Datuk Sri have you ever thought even for a momement about the quality of MIC leaders icluding yourself? Datuk Seri S Samy Vellu: When you don’t understand quality, how could you assess it yourself? Dato Seri, recently it has been published in News that there are many defaulters who didn’t pay up MIED loans which end up the deserve ones didn’t get it. Why is so. Is the staff in MIED is not efficient enough to curb this problem? Datuk Seri S Samy Vellu: It is not that MIEd staffs are inefficient. The borrowers are not efficient in paying back the loans. In any case, we take them to court. All the best Datuk Seri, just hope that they would award you the Tun asap. Take care of yourself and start embracing what is offered by the new IT tools………..
Dato Seri, MIC is outdated and irrelevant as it has failed to listen to its ppl. In many ways, HINDRAF has opened the eyes of many Indian Youth. Datuk Seri S Samy Vellu: Hindraf may have opened the eyes of many Indian youths but what is the benefit to the Indians youths in the country today? The Pakatan used the Indian youths to gain the Indian votes. What has Pakatan done for the Indian youths today. hindaf can blame BN today but they must also be brave enough to balme the pakatan which has dropped the Indians after the election. The regret is, that people don’t understand what has been done for them. Under my leadership, the Indians have progresed very well and today in this country, only 30 per cent of indians still under poverty. The MIC is continuously pursuing the matter with the government. Datuk Seri S Samy Vellu: I would like to thank all those questions from the viewers and the readers. It is very helpful and also provided me new energy to uderstand the minds of people. I wish to thank NST for this kind opportunity and I hope the people will continue to support the country’s leadership and democracy. Thank you Datuk Seri S Samy Vellu for joining us today on NSTLive. We hope you have enjoyed your interaction with our online readers. We hope too that our online readers have had a fruitful discussion with Datuk Seri. We will be back soon with other personalities on NSTLive. Visit us at http://www.nst.com.my for further updates. Two major restaurant owners associations will organise a training and placement programme to encourage Malaysians to work in Indian and mamak restaurants. The “Train and Place” programme, organised by the Malaysian Indian Restaurant Owners’ Association (Primas) and the Malaysian Muslim Restaurant Owners’ Association (Presma), is targeted at local youths and retrenched workers in a bid to reduce the dependence on foreign workers. “We are trying to meet the Government’s policy of reducing foreign workers and this is our first step in achieving that goal,” programme director D. Arun told a press conference yesterday. He said the three-month course would begin in June with 200 applicants targeted. “The Human Resources Ministry will sponsor the participant’s tuition fee of RM4,500 and if the response is good we will take in more trainees at the next intake,” he added. He said the training would be held in various institutes in the Klang Valley in English, Bahasa Malaysia and Tamil. Those who complete the course would be quickly placed in restaurants around the Klang Valley, with the Government paying them RM800 each, Arun added. Presma president Datuk Jamarulkhan Kadir said it was the right time to launch the programme as the Indian food and beverage industry was in need of more manpower. “We are working to hire locals instead of foreigners but the problem is that most locals have a negative impression of being a restaurant worker,” said Jamarulkhan. Primas president Datuk R. Ramalingam Pillai said that there were currently 75,000 foreign workers in the industry, and the ultimate aim was to get locals to replace them. Primas and Presma are also setting up a Centre for Innovative Restaurant Skills to better train workers by the year end. Those interested in joining the “Train and Place” programme can download the application form at www.restaurantjobregistry.com or call 03-7954-9270 for enquiries. Registration starts on May 19. This is the way to go. Instead of relying on foreign workers, its time to train our own youths, give them decent salary and work environment. Of course, there will be some bad hats and hiccups, but in the long run it will be good for the economy as more money is generated in the country and increase consumer spending power. Remember, “a youth who is preoccupied won’t have time to cause trouble”. 7 Interest Rate � Maximum of 5.0% p.a. Follows the tunure of the loan / tunure of funding i.e. Anda mahu perniagaan anda terus maju dan tidak terbantut di tengah jalan? 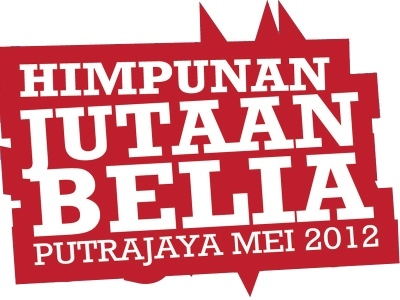 Kini impian perniagaan anda dapat direalisasikan bersama BSN TemaNiaga kerana kami percaya dengan kemampuan anda untuk memajukan perniagaan. Jadikanlah BSN TemaNiaga Sahabat Setia Anda dan nikmati masa depan bersama insan tersayang. BSN TemaNiaga pasti dapat membantu anda kerana impian anda, matlamat kami. 15% – 17% Setahun (Berdasarkan baki asas tahunan). 1 tahun – 5 tahun. Menjalankan perniagaan dengan tempoh minimum 2 tahun. Tanpa Penjamin atau Penjamin (seorang penjamin yang bergaji tetap minimum RM2,000). Penjelasan sebahagian iaitu minima 3 bulan ansuran atau RM1,000 mengikut yang mana lebih tinggi. Salinan buku akaun BSN (jika ada). Salinan Penyata Cukai Pendapatan penjamin dan Penyata Simpanan KWSP penjamin (jika ada). Individu yang diisthiyarkan bangkrap/muflis tidak layak memohon. PINJAMAN SPUMI MIKRO SEDERHANA (RM 10,000 hingga RM 30,000) ditentukan oleh pihak pengurusan TEKUN Nasional. Tenpoh pembayaran balik ansuran adalah masa 3 tahun hingga 5 tahun dengan kadar faedah tetap 4% setahun. TEKUN akan mengenakan bayaran RM 30 sebagai yuran pemprosesan. Elemen insurans dan simpanan juga ditetapkan dalam perniagaan ini. Pemohon dinasihatkan membuat satu salinan dokumen sebelum menghantar kepada YSS.Sesi taklimat mengenai pinjaman ini akan diadakan pada setiap hari Rabu di Pejabat YSS. Sila hubungi kami untuk maklumat lanjut di talian 03-40415958. Let me answer this question because the chances are good that it’s weighing on your mind. EVERY relationship has a cycle. In the beginning, you fell in love with your spouse/partner. You anticipated their call, wanted their touch, and liked their idiosyncrasies (unconventional behavior/habit). Falling in love with your spouse wasn’t hard. In fact, it was a completely natural and spontaneous experience. You didn’t have to DO anything. That’s why it’s called ‘falling’ in love… Because it’s happening TO YOU. People in love sometimes say, ‘I was swept off my feet.’ Think about the imagery of that __expression. It implies that you were just standing there; doing nothing, and then something came along and happened TO YOU. Falling in love is easy. It’s a passive and spontaneous experience. But after a few years of marriage, the euphoria (excitement) of love fades. It’s the natural cycle of EVERY relationship. Slowly but surely, phone calls become a bother (if they come at all), touch is not always welcome (when it happens), and your spouse’s idiosyncrasies, instead of being cute, drive you nuts. At this point, you and/or your spouse might start asking, ‘Did I marry the right person?’ And as you and your spouse reflect on the euphoria of the love you once had, you may begin to desire that experience with someone else. This is when marriages breakdown. People blame their spouse for their unhappiness and look outside their marriage for fulfillment. But the answer to this dilemma does NOT lie outside your marriage. It lies within it. I’m not saying that you couldn’t fall in love with someone else. You could. THE KEY TO SUCCEEDING IN MARRIAGE IS NOT FINDING THE RIGHT PERSON; IT’S LEARNING TO LOVE THE PERSON YOU FOUND. Because it takes time, effort, and energy. And most importantly, it takes W IS DOM. You have to know WHAT TO DO to make your marriage work. Just as there are physical laws of the universe (such as gravity), there are also laws for relationships. Love in marriage is indeed a ‘decision’… Not just a feeling. 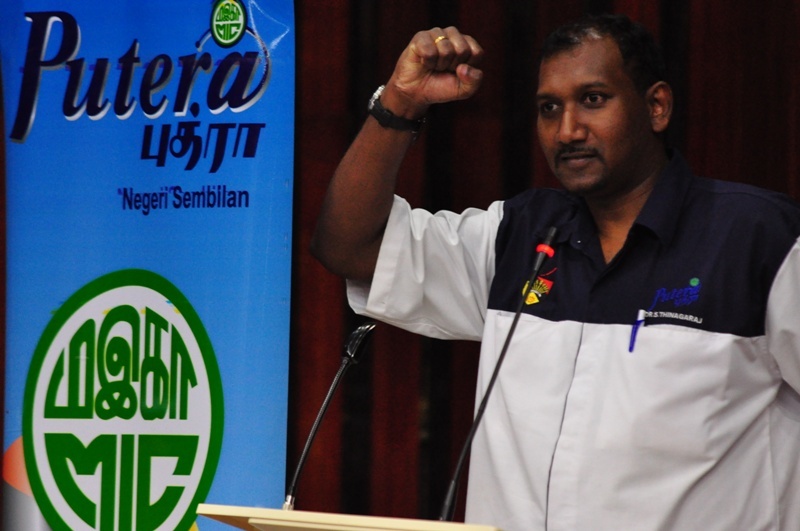 SEREMBAN, May 10 (Bernama) — Senator Datuk T. Murugiah will meet Prime Minister Datuk Seri Najib Tun Razak on Tuesday in connection with his sacking from the Peoples’ Progressive Party (PPP). The Deputy Minister in the Prime Minister’s Department told reporters he only knew of his sacking from PPP after reading newspapers today. “I dont’ want to comment on it. I leave it all to god almighty,” he said after opening a small business, agriculture and franchise seminar here today. Murugiah, PPP’s sole representative in the government called for patience adding the truth would prevail. PPP president Datuk M. Kayveas announced yesterday Murugiah was sacked from the party for alleged money politics and attempting to challenge his position. The registration of Silibin PPP branch in Ipoh, led by Murugiah, has also been revoked. Earlier, Murugiah urged Indians not to be dependent on the government for jobs but to seize the many business opportunities. He said there were lots of opportunities available unlike claims by the banned Hindu Rights Action Force (Hindraf) that Indians were sidelined. “The Fisheries Department director-general told me it is organising a boat piloting course but no Indians have come forward. So who is to blame here? He said a new cooperative for Indians would be formed soon, to be launched by Prime Minister Datuk Seri Najib Tun Razak. Koperasi Malaysian India New Economics Wave with a membership of 16,000 would help Indians to venture into business to be on par with other races. KUALA LUMPUR (AFP) – – Malaysia said on Saturday it has freed 13 people held under its tough internal security laws, including three ethnic Indian activists detained since organising anti-government protests in 2007. “All of them have been released today,” police chief Musa Hassan told AFP. He said five Filipinos and two Indonesians released will be sent back to their home countries. The remaining six Malaysians were freed on certain conditions on which the police chief declined to comment. “We will pass the foreign detainees to the immigration to be deported to their home country,” Musa said. The release of the Indians, members of the banned ethnic Indian rights group Hindraf, removes a thorn in the side of new Prime Minister Najib Razak, who is trying to promote his reform credentials. They and the other 10 were held under the Internal Security Act (ISA), a relic of the British colonial era which allows for indefinite detention without trial, and which human rights groups have campaigned to have abolished. The government said on Friday that it had decided to release the 13 because “they no longer need to be held under ISA”. One of the Hindraf members, M. Manoharan, was elected from his jail cell to a seat in the parliament of Selangor state in general elections last year that saw a sharp swing to the opposition. Manoharan’s wife, S. Pusphaneela, said the release of her husband would enable the state lawmaker to serve the people and she is looking forward to his return. “He is on the way home now and my three children are waiting anxiously for their father,” she told AFP. Rights groups welcomed the release of the 13 but urged the government to free the remaining 14 people, mainly suspected Islamic militants, held under the ISA or charge them in court. “We always believe that these detainees who were never proven guilty in any court of law should not have been detained in the first place,” Abolish ISA Movement coordinator E. Nalini said. Najib freed another batch of 13 detainees, including two Hindraf leaders, soon after being sworn in last month and has denied it was a bid to win back support for the ruling coalition. The five Hindraf leaders were taken into custody after enraging the government in November 2007 by mounting a mass rally alleging discrimination against minority ethnic Indians. Ethnic Indians make up less than eight percent of the 27 million population of the mainly Muslim-Malay country, but say they fare badly in terms of education, wealth and employment opportunities. KUALA LUMPUR, May 10 (Bernama) — The Malaysia India Democratic Action Party (Mindrap) has pledged its support to the government policies on improving the well-being of the Indian community. Its president, Manuel Lopez said the party, which was set up in 2005, would play a meaningful role in raising the problems of the community. “We know that some of the demands made by the community went unfulfilled maybe because they were not pursued correctly. “We should not blame the government. What is important, the struggle to advance the interest of the Indian community must go unabated,” he told a news conference here today. Lopez said the formation of the party was not to compete against the MIC or the People’s Progressive Party but to intensify the struggle for the community. “I formed the party with the aim of improving the well-being of the Indian community. From our study, the community is still lagging behind and saddled with many problems such as the identify card, education and unemployment,” he said. Claiming that Mindrap has about 3,000 members nationwide, he said the party was formed due to unhappiness over the leadership of the other Indian based parties. KUALA LUMPUR: The number of Road Transport Department academy trainees who are in the Malacca Hospital’s isolation ward for suspected meningitis has increased to 29. Health Minister Datuk Seri Liow Tiong Lai said the number as of Sunday evening was an increase from the 18 who were admitted in the ward. “All of them are in stable condition and the situation is under control,” he told reporters on Monday here after an MS ISO 9001:2000 certificate presentation ceremony. Two trainees are still in the hospital’s intensive care unit. He added patients were undergoing a cycle of treatment, which takes a week. Meanwhile in Butterworth, the trainee who contracted bacterial meningitis in Malacca was responding well to treatment at the Kepala Batas Hospital. State Health Committee chairman Phee Boon Poh said the trainee’s blood sample has also been sent to the Institute for Medical Research (IMR) for analysis. “His family members and care givers have also been given medication as a precautionary measure as it has not been ascertained whether the cause of the infection is a mixture of both bacteria and virus,” he told reporters on Sunday after closing the three-day Penang Health Fair themed “Health for Life”. It was reported that trainee Mohd Ashraff Sabrani, 23, who works at the State Road Transport Department, was admitted to the hospital and placed in the intensive care unit after he developed high fever last Sunday. He was transferred to the isolation unit the following day after his condition improved.